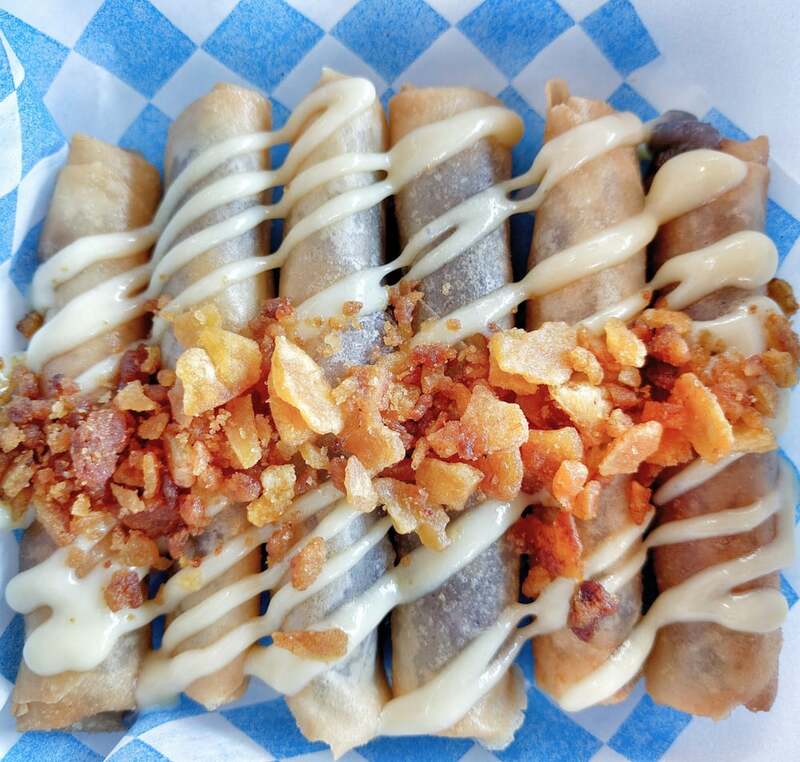 Hello Lumpia Lovers, or, if you’re not yet one, then Hello Soon-To-Be Lumpia Lovers! Tito Ron’s is this new place Filipino-Carribean place in Kensington Market in the same space where Panchos Bakery is located. They opened this spot after getting funded thru a successful KickStarter. Pork Tocino on Rice ($7) – very delicious cured pork but they twisted it by having a hint of pineapple flavour that worked really well so you get the sweetness from the cured pork plus the tangy from the pineapple. Beef Bistek on Rice ($7) – actually this didn’t remind me of the usual filipino bistek, but I still liked it. It actually reminded me more of the beef from gyudon (specifically Yoshinoya in the Philippines). Ube Plantain Turon ($5) – these are dessert spring rolls with plantain and ube inside. These turons (dessert spring rolls) bring me back home. Love the mix of ube inside, something interestingly unique and delicious. The Tito Ron’s homemade plantain chip crumble adds an extra crunchy oomf to the turon. Sarap! Wish they were bigger per piece though like actual turons back home. Overall, I like their offerings and the food. However, I’m not sure if the price justifies what you’re getting. The $5 turons were 6 small pieces where right beside it is Panchos Bakery with $5 for 3 big churros. The $7 rice dish wasn’t that big too. You get maybe 5 pcs of pork tocino on a cup of rice. I definitely won’t get full if I just ordered 1 of the $7 rice item. Posted on April 21, 2016 by Travelling FoodiePosted in Canada, Food, Ontario, TorontoTagged restaurants.